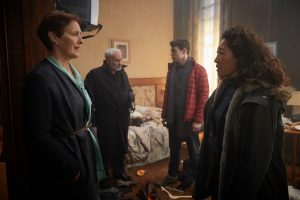 Killing Eve‘s freshman season closes out with a bang Sunday night as Eve has a series of “come to Jesus” moments about herself, her job, and Villanelle. Villanelle, meanwhile, pursues her revenge in strange ways, seeking out satisfaction for the myriad wrongs against her and yet still blazing down a path toward self-destruction that draws her closer to Eve. 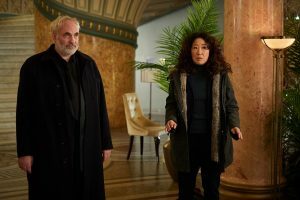 Carolyn and Konstantin have some things to sort out, too, given the evidence that Eve and Kenny discovered last week. As you may already guess, the season doesn’t wrap up all in a bow. 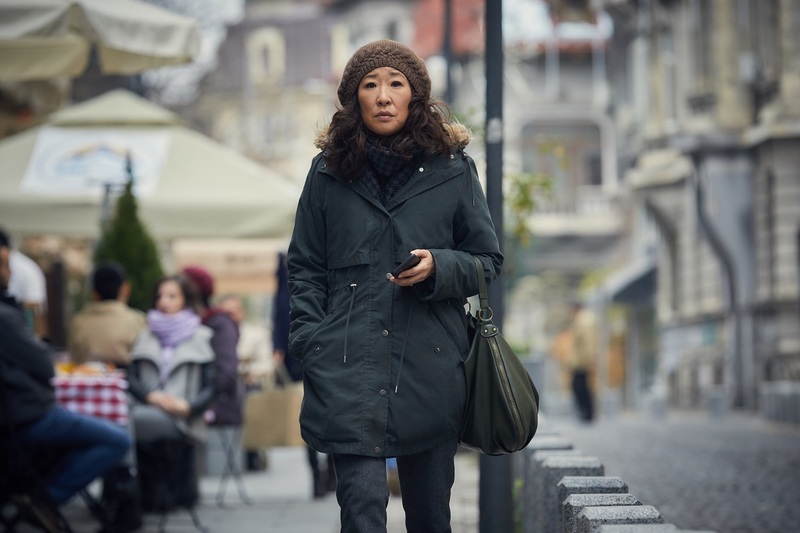 Some things are resolved, and others are left tantalizingly unresolved to set up the already-renewed drama’s second season, which will arrive next year. It’s been a bananas season with a showstopping performance from Jodie Comer, who I’d not seen before, and I loved getting to see Sandra Oh play such a different, headlining role. 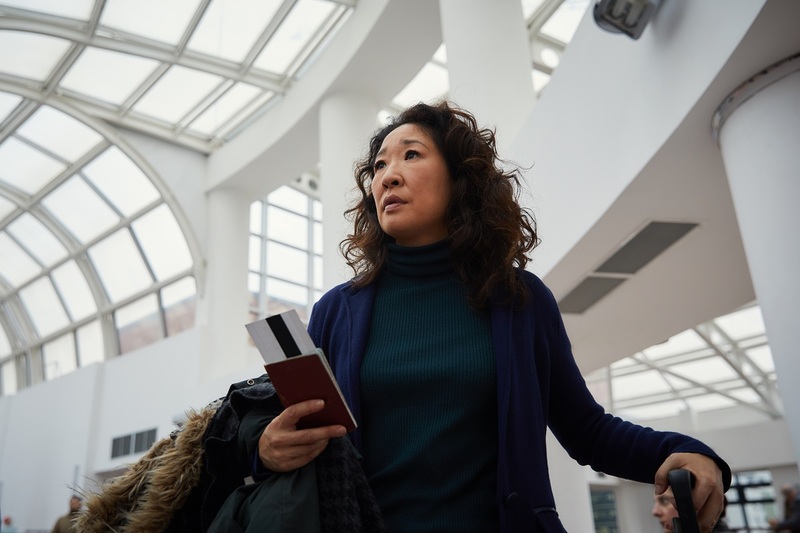 You can binge all of Killing Eve‘s first season now on BBC America online and On Demand. The season finale airs at 8 pm/7c Sunday night on BBC America. Here’s a sneak peek.